La Jolla, defined as “The Jewel” of San Diego, is known for it’s wonderful beaches, cultural activities and fine restaurants. It is an exquisite combination of a southern European resort atmosphere and Southern California fun. 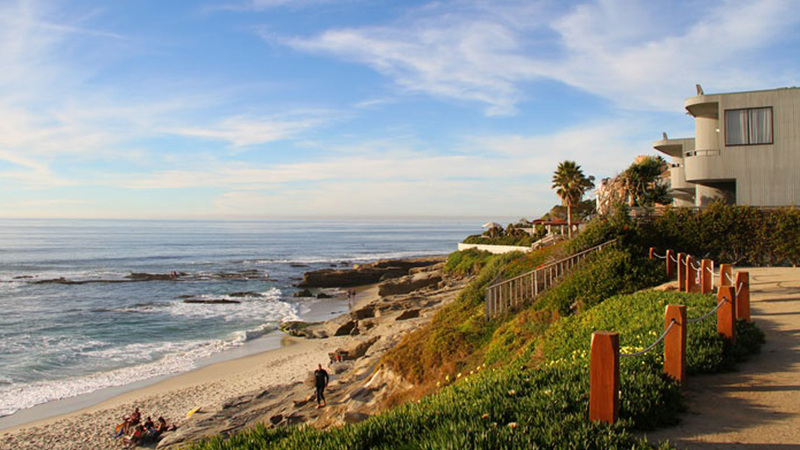 Known as one of the nation’s most affluent communities, La Jolla also has a down to earth feel with it’s stunning natural scenery and it’s quaint small town feel. In addition to fine restaurants, beautiful beaches, hotels and art galleries, La Jolla is home to renowned institutions, such as the Scripps Institution of Oceanography, the Stephen Birch Aquarium & Museum, and the University of California, San Diego. La Jolla is also home to many Bio-Tech and software companies. “The Jewel” of San Diego, La Jolla, is a great place to live, work or to visit.